I am not sure if I have ever mentioned this here, but over the past several months now, I have found myself veering more and more towards non-fiction, more specifically towards books on productivity & time-management, even though I’ve been reading other sub-genres as well. And this is new for me, because while I have always read non-fiction, it has typically constituted a relatively small part of my reading, and right now it’s almost at 50% (if not more). There have been a couple of reasons for this, but I guess it boils down to the fact that late last year I realized that whatever I was doing to manage my time and tasks just wasn’t good enough, and I really needed to do something about it, because I was sick and tired of always being in this state of eternal backlog, and it was adversely affecting my mental health & peace of mind in general. Some of my family and friends suggested that I had possibly taken on more than I could handle, and that I should let go of a couple of things, one of which was blogging. But honestly, I just could not bring myself to give up blogging, because for whatever reason I started it, it’s now the one creative outlet that gives me immense joy and a great deal of satisfaction and pride. Moreover (the way I see it) it’s also the only way I can accomplish the goals I have set for my future, so even back then I knew I just had to figure out how to make it work, and that too without compromising on the things that are higher on my priority list like my health & time with my family. And here is the thing, if I am being really honest, I have to admit that even though I often cribbed about not having enough time to do it all, I also could not deny the fact that I wasn’t necessarily making good use of the time I did have. I mean at the end of the day, everyone has the same 24 hours, and how we handle it makes all the difference. So we can either take the lazy way out, by sitting around and expecting a miracle, or we can actually do something about it. And I decided to do the latter, and take control of my time instead of letting it control me. Now there were several things I did, a few strategies that I adopted, to effectively manage my time, while boosting my productivity, and I can definitely share more on that in a different blog post, but for today I want to talk about the 3 books I read which were the initial fuel behind the fire that kept me inspired, motivated and on track on my journey of taking back control of my time. This was the very first book I picked up when I wanted to get started with the genre, because being the compulsive list-maker that I am, this one was right up my alley, and let’s face it, who doesn’t enjoy a little bit of validation every now and then? Though at the same time I have to admit that I did wonder if this book could possibly add any value to me, considering I was already acing this list-making thing. However I need not have worried, because this book was not only a pretty interesting read, but also an immensely helpful one, even for someone like me, who was already sold on the importance and the many advantages of checklists. For one, like I expected (and mentioned earlier), it did validate my natural inclinations, which was great. But more importantly, it also gave me new perspective on how to use lists effectively. Because you know sometimes it is easy to get stuck in a rut of doing things, without ever evaluating whether they are actually helping us in our goals or hindering them. In that sense, this was the perfect reality check for me. That being said, even if you have never made a single list, and consider it to be a complete waste of time, I’d still highly recommend this book to you. Mostly because I know how critical checklists can be when it comes to effective time management. So if you are seriously looking to boost your productivity, this is one book you must not ignore. This was the next book I picked up, though honestly it wasn’t the one I was intending to get to. I originally planned to read The Power of Habit by the same author, but that book had a crazy number of holds on it, which meant I couldn’t get my hands on it anytime soon. So I thought I’d as well go with this one because it was by the same author, readily available, and from the title alone, it seemed to fit with the productivity theme I had in mind. However after having read the book I have to admit that it’s not what I expected it to be. Don’t get me wrong, this book had a lot going for it. The author explored some truly mind boggling concepts, and shared some amazing case studies. But then none of those things tied to an overarching idea or even the theme of the book – Smarter Faster Better. And to be honest, that really bothered me. I usually prefer non-fiction in which the author might explore several angles but it usually all connects to a single overarching idea or a theme at the very least. So these unrelated examples (as amazing as they may be) did not work for me after a certain point. That being said, if you are new to the genre, and don’t share my quirks, you will possibly enjoy this book, because like I said, the concepts explored, and the examples chosen were pretty great. Also, there was a section at the very end that shared ideas for practical application of the concepts discussed, and that I truly enjoyed. All in all, while the book seemed to go on many unrelated (but good) tangents, it’s still a great read if you are looking for a practical summary of some productivity concepts, and also some ideas on how to organize your life to manage your time, tasks and energy more efficiently. After I got done with those 2 books, this was the third one I picked, and I have to say that (for me) this was by far the most useful one (out of 3). Because it directly addressed my problem areas, and provided actionable tips to work on them. And at the end of the day, that’s what we want from self-help books like these, right? Unlike fiction, it’s not entertainment we seek, but valuable insight, actionable advice, and general help in the areas we need it. So in that sense, this book was the best of the lot for me. Was this path-breaking information? – No. Was this something that I’d never come across earlier – No. However, was this just the right thing at the right time (for me)? – Hell, yes! So much so that I made extensive notes on this one, that I keep referring to every now and then. I will possibly share some highlights from the book with you guys (things that really spoke to me), but in a different blog post, so as to not make this one impossibly long. But essentially the book talks about some basic principles of productivity, and more importantly, how to deal with chronic (and selective) procrastination (something that I am guilty of). And here’s the thing – I don’t procrastinate my tasks and sit around wasting time. I am usually always working towards something with respect to my goals. However, I might not be necessarily handling the most important tasks first, even though I know they are the priority. It seems crazy right? I mean why would anyone not handle the priorities first? Now I cannot answer for everyone, but when it comes to me – it all mostly boils down to two things – the need for perfection (especially when it comes to the bigger, more important tasks) & anxiety and overwhelm caused by the former need. Of-course procrastinating the important and the inevitable doesn’t make anything better or ‘more perfect’. It just delays your success, and makes the journey way more painful than it needs to be. But just knowing that, did not help me break the vicious cycle/pattern I had fallen into – of taking care of smaller/lower priority tasks first, just to “get them out of the way”, so that I can then “really focus” on the more critical tasks (or at-least that’s how I justified it in my head). Clarity is very important for success. Know what needs to be done and in what order. Setting your priorities is important. We all have time, if we but use it right.One of the worst uses of time is to do something very well that need not be done at all. People tend to procrastinate the tasks that yield the maximum result. Don’t do that. Focus on the vital few tasks, instead of the trivial many. Resist the temptation to clear small things first. It will become a habit. Refuse to work on bottom 80% tasks while you still have tasks in the top 20% to get done. Force yourself to eat your frog first. There is never going to be enough time to do everything. But there is always enough time to do the most important things. You can only get your time and life under control to the degree to which you discontinue lower value activities. The above excerpt is just one example of how the book opened my eyes to the reality of my situation, which to be honest I always knew, but never really admitted even to myself, much less worked on fixing these attitudes and habits that were not working in my favor. 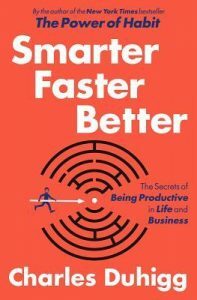 Which is why, needless to say, I highly recommend this book, especially if you are looking for books on productivity and time management – start with this one. But don’t just read it – make notes, do the exercises, and try to incorporate what truly resonates with you. It can and will dramatically alter your productivity! That’s all from my end folks. I would love to hear from you. Have you read any of these 3 books? How did you find them? 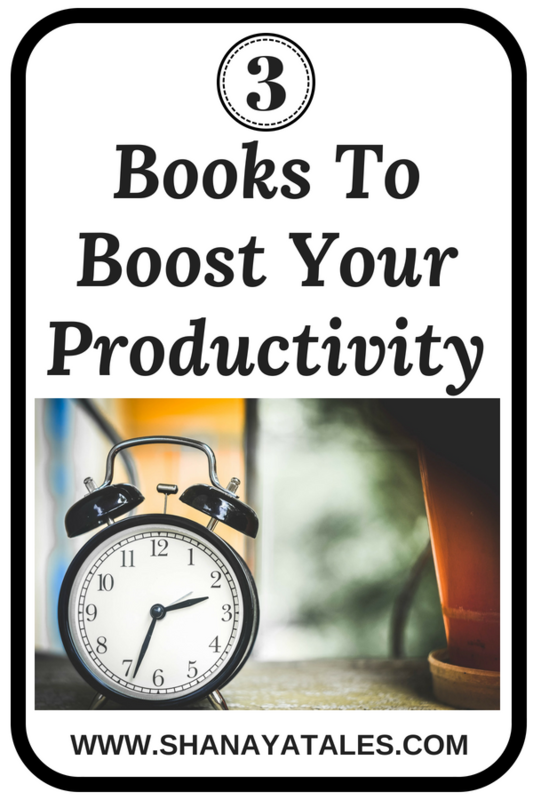 Have you read any other books on Productivity & Time Management that you really enjoyed? Do share! 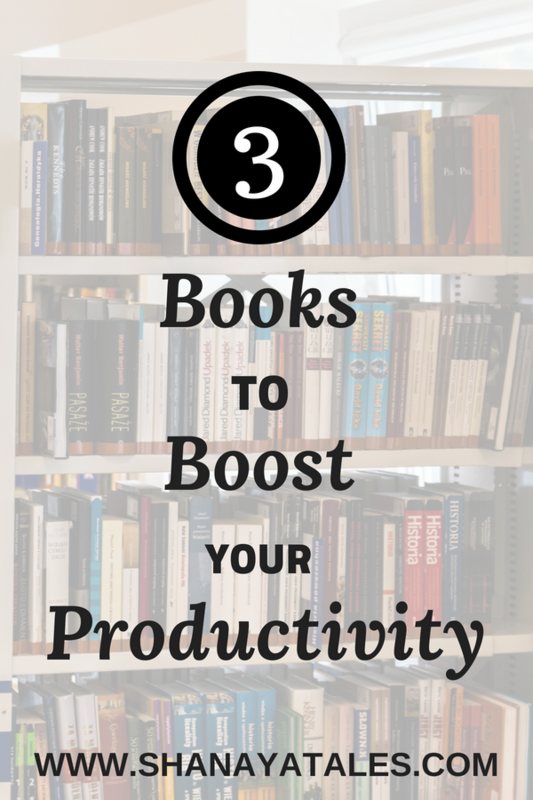 Love this post mostly because it combines two loves, Books and Productivity. I’m such a checklist and type a person but also love the idea of being laid back and happy. Talk about a paradox. I loved the other Duhigg book and although not technically exclusively on productivity I highly recommend Deep Work by Cal Newport. I’ve heard great things about the Tracy book so I’ll probably add that to my TBR. Up until a few years back, I used to be ruled by my checklists, but now I let them know I am the boss! Added Deep Work to my TBR. Thank you so much for the recommendation! I have never read a book on this topic. I usually run away from self help books, but these 3 sound interesting. Especially the checklist one since even I am obsessed with making lists. Oh then you will definitely love Gawande’s book. But if you haven’t read a lot of this genre, let me tell you something – with self help books timing is EVERYTHING. Okay technically that is true of any book, but it’s kind of critical with books in this genre. Honest confession… I am not much of a self help book lover( though I am the one who needs it the most, considering my inefficiency in time management and productivity)… I read all kinds of fiction classics to contemporary, yet this genre is something i dont venture into much. Time for me to change my outlook I guess.!!! Oh I was not overly fond of self help books either. I only turned to them out of sheer desperation. Because I needed help and I was willing to try just about anything. However with self help books, timing is everything. If you pick up the right book at the right time – it has the potential to change your life. But if you pick a random book from the genre, not suited to your phase of life or needs – it will sound too preachy and annoying. So I’d recommend you seek out books that speak to your needs. I’m not a list person – I think I would spend far too muh time making the list! These books all sound great, Shantala. 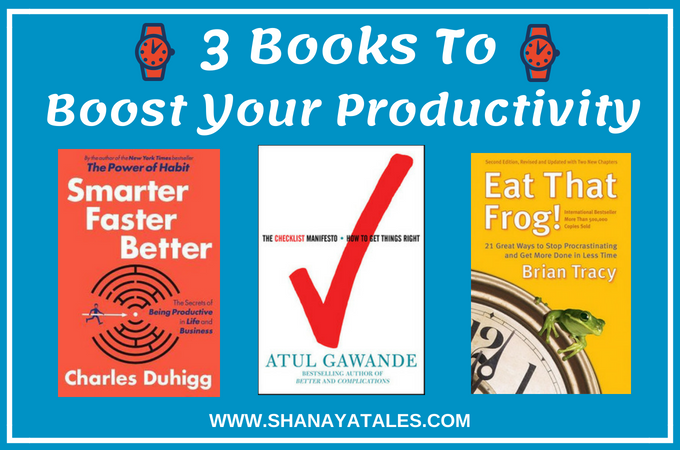 Good for you for squeezing not one, but three self-help productivity books into the summer months! I could use some encouragement here. I was on fire in May, June but then some personal things took over and I became a bit lost and overwhelmed. Must get back. Thanks for the encouragement and recommendations. lisa thomson recently posted…Is Instagram Replacing Blogs? We all go through our phases of peaks and slumps, so don’t be too hard on yourself. I am glad you liked the recommendations. I hope you enjoy the reads too! I’m not a non-fiction reader, least of all self help. But that first one really spoke to me and I’ve wish listed it on amazon. The thing with self-help books is that you need to be in a specific place in life for them to speak to you. Oh and whoever told you to quit blogging didn’t know what they were talking about. Yes definitely! For self help books you do need to be in a specific phase of life, and timing is EVERYTHING. Otherwise you are just going to find them preachy and annoying. I have read the ‘Eat that frog’ long ago and I remember not relating to it ( I was in school then) though the concept in theory made so much sense. Maybe it is time for a revisit. 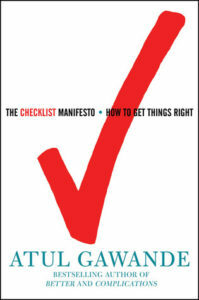 I have the Checklist Manifesto and I have not read it yet. I have been off my reading game for a while now and I plan to catch up. Thanks for the motivation and recommendation. Gayathri recently posted…Tag: I Spy Books! Timing is really important with non-fiction books (especially with self-help books). So I’d recommend a revisit only if you feel that it’s something you need at this point. 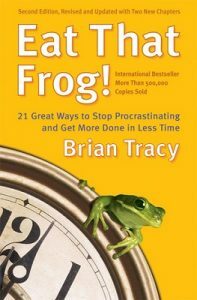 I know I really needed to listen to Eat That Frog – it addressed my particular brand of procrastination. By the way, my original comment disappeared. Hoping this one goes through. I’m really not sure if I would like to read something on this topic. I’ve been pretty good at managing time these days after working so hard at it. But if these books help me get better, then why not? If you feel you are good with managing time, I’d skip these, and possibly seek out books that address areas you need help with. Because I have found that with self-help books, unless they address a specific need or problem area in our lives – they can come across as preachy and annoying. But if we somehow get to the right book at the right time – it can be life changing! Loved your way of writing, shantala. Very neat. Also loved your pins. Will take a few tips from your creative pins. Ah thank you so much for the feedback, Anshu. I am just about learning Pinterest, and experimenting with Pin designs, so your feedback means a lot. Thank you! Seems to be helpful reads. Added to my TBR. Thanks for sharing. I really love your book reviews, this post on productivity and self help is great. Would love to read them and get some important points on improvement. Thanks ! !